The tiniest babies account for 2% of births but half of all infant deaths. When a baby is born too soon, it's hard to imagine that the infant would do better anywhere else in the world than in America. The most fragile preterm infants are housed in specialized intensive-care units and cared for by world-class experts. Prematurity cost the country some $26 billion in 2005, according to the U.S. Institute of Medicine. And yet for all the technology and expense, roughly 30,000 American babies under age 1 die each year. They die at a rate three times as high as in Singapore, which has the world's best infant survival  long considered a key indicator of a nation's overall level of health. In fact, the U.S.  ranked No. 30 in 2005  lags behind almost every other industrialized nation, behind Cuba, Hungary and Poland. What explains such dismal figures? The math is fairly simple. Babies born preterm  before 37 weeks of gestation  account for two-thirds of all infant deaths, and the number of preemies in the U.S. is growing. Today 1 in 8 American births is preterm  a nearly 20% rise since 1990. The babies at highest risk are those born "very preterm"  before 32 weeks of gestation  who account for just 2% of all births but more than half of all infant deaths (by comparison, 99% of late-preterm babies, born just a week or two early, survive). These very preterm births have driven up the U.S. infant-mortality rate to 6.86 deaths per 1,000 live births. "If we really want to make progress in infant mortality, we have to figure out how to address the problem of preterm birth," says Eve Lackritz, chief of maternal and infant health at the Centers for Disease Control and Prevention (CDC). But if the reason for the infant-mortality crisis seems clear, what to do about it is not, because premature births remain a genuine medical mystery: in nearly half the cases, the cause is unknown. It is well established that preterm births are more common among very young and very old mothers and among women carrying multiples  twins or triplets. But rates have climbed considerably even among singleton births. Preterm births are also more common in women with upper-genital-tract infections like bacterial vaginosis, in very underweight and very overweight women, in women who undergo cesarean-section births and in women with certain bleeding and clotting disorders. But taken together, these factors still leave doctors stumped in more than 40% of preterm cases. The enduring dilemma of infant mortality is prompting experts to revisit one of biology's longest-standing questions: Why are babies born when they are? Research teams across the country, including obstetricians, statisticians and molecular biologists, are working in concert  and very slowly beginning to piece together the answer. At Emory University in Atlanta, Dr. Alfred Brann directs a World Health Organization Collaborating Center in Reproductive Health. The center is a joint project of Emory and the CDC, and in its 28 years of operation, the staff has worked on five continents, in countries including Afghanistan, Cuba, Mexico and Russia, on projects ranging from improving patient safety during childbirth to researching the causes of low fertility. Brann has a more personal perspective on maternal and infant health than other researchers might. "My mother died in my birth in 1934, and my aunt, who raised me, had two very tiny premature babies who died," he says. Brann trained as a pediatric neurologist, but about 10 years ago, the doctor began to wonder how he might reduce the preterm-birth rate in Georgia  noting that a very small number of early-preterm infants made up the bulk of that state's infant deaths. He focused on one key fact. To date, the most reliable predictor of preterm birth is simply the mother's having given birth preterm before. Brann settled on a strategy: focus on the health of mothers instead of that of the babies  and most important, get them before they're pregnant. It was a turnaround in a field that had previously "jumped over the problem of why are women having very low-birth-weight babies and started on saving the babies," says Brann. Infant mortality dropped sharply in the U.S. throughout the 20th century, with improvements first in infectious-disease control and later in survival of vulnerable infants. 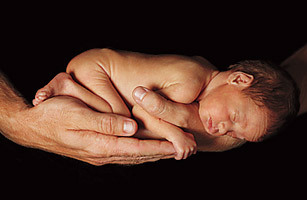 But even as neonatal care improved, scientists were still uncertain why some babies were born so fragile to begin with. Brann felt the single-minded focus on infant health was keeping the problems in women's health hidden in plain view. In six months during 2003 and '04, Brann and his colleagues ran a small pilot project. They enrolled 29 women in greater Atlanta who had recently given birth to a very low-birth-weight baby and gave each mother two years of free primary health care. Women received regular checkups, nutritional screenings and chronic-disease management when appropriate. Women who said they did not want to get pregnant again got free contraception. Participants also had access to what Brann calls a "resource mother," who helped each woman with day-to-day life improvements, like securing an apartment or enrolling in school. The trial results were impressive. Compared with a similar group of women who had preterm, very low-birth-weight babies two years earlier, the intervention group had roughly one-quarter as many repeat adverse outcomes  like ectopic pregnancies, underweight babies or stillbirths. The decrease was achieved mostly by reducing unwanted pregnancies overall. "Now a woman who is healthy and has some control over her own life and elects to become pregnant will have a healthier outcome. That's not rocket science," Brann says.